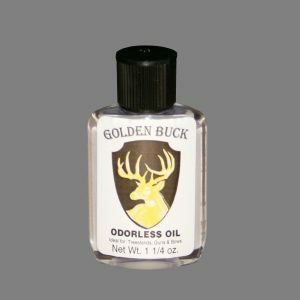 Golden Buck Odorless Oil | Great Day Inc.
Any seasoned hunter knows that any unnatural scent is "disturbing" to wild game. All common lubricants on the market have a distinct, unnatural odor. 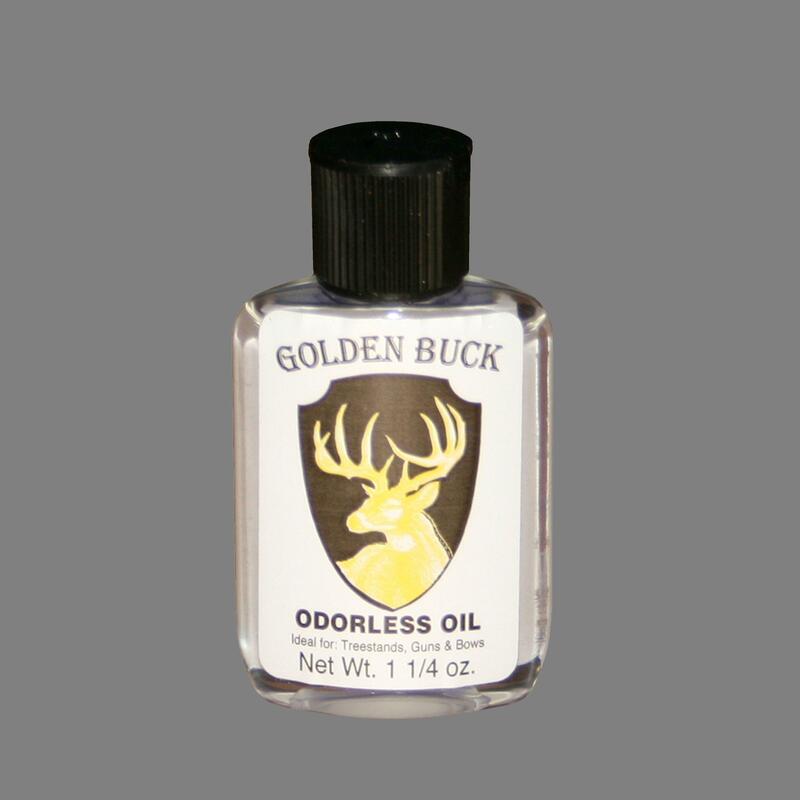 Now, with Golden Buck Odorless Oil, you can keep those stiff, squeaking parts of your gun, bow or treestand working smooth as silk without any telltale odor. Golden Buck Odorless Oil is a petroleum based product and provides excellent lubrication and lasting protection for any outdoor equipment. Especially recommended for guns, bows and tree stands. The 1 1/4 oz. squeeze container will easily last a hunting season with normal use.